In today’s article, the focus is on TOWN COUNCIL MANAGEMENT. What’s more, the PAP wanted to emphasise on the fact that, “the current S&CC have remained unchanged for the last ten years”, and thus they wanted to make it sound like they had no choice but to increase the S&CC. 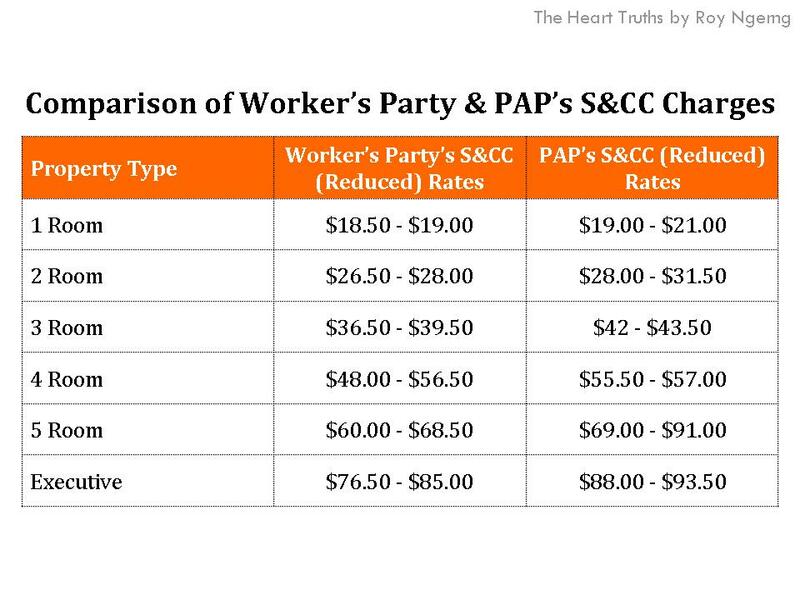 But, if indeed the S&CC had been the same for 10 years, but the PAP is already able to earn $46.5 million in accumulated surplus today, and even $122 million in 2011 (before they created the law to make the money disappear), then doesn’t that mean that the PAP has been collecting S&CC which are already too high 10 years ago, and which has already allowed them to make a lot of money off Singaporeans? Does this mean that 10 years ago, they have already made Singaporeans pay far too much so that they can earn from us? Not only that, since they are still making $46.5 million in surpluses now, that would also mean that the current increase also has no basis, and this would only mean that the current increase would allow them to earn more and accumulate even more surpluses! What is the PAP thinking? Why are they forcing Singaporeans to pay higher S&CC, when they already have surpluses, and when the real wages of Singaporeans have remained stagnant, and we are having difficulty even making ends meet? Meanwhile, if the Worker’s Party government is able to govern their constituency without increasing the financial burden on their citizens, why is it that the PAP government which would have more economies of scale, by virtue of running more town councils, not be able to find any savings, and not be able to be cost effective in their approach? Is the PAP so incapable? Or are they so heartless that they are more interested in earning money of Singaporeans instead of be “mindful” for their residents and care for us? On the contrary, when you look at how the Worker’s Party does it, when a report purposely highlighted that in their town council, “5% of their households had S&CC arrears overdue for 3 months or more”, the Worker’s Party had shown compassion by saying that, “While some residents can settle their arrears within a short period of time, others may need more time to do so and we have assisted them with instalment plans”. In fact, the PAP has total accumulated surpluses of $58 million, so why do they want to make Singaporeans pay more when they have millions more? In fact, the PAP claimed that “surpluses have been in the decline over the years (because of) … continuously rising maintenance and operation costs”. Yet, when you look at their annual reports, the PAP’s surpluses have actually increased – from at least $40 million to $58 million! 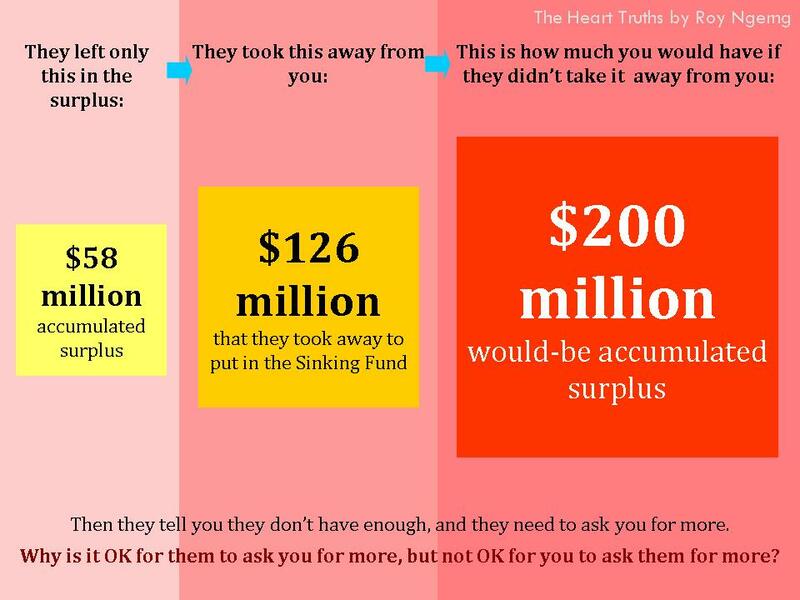 Here comes the revelation – the total accumulated surpluses that the PAP has transferred into the Sinking Fund – a total of $126 million – more than twice what the current declared accumulated surpluses of $58 million that we mentioned just now. This is your money – a whole $126 million which they had transferred, which would have been yours to pay for the management of your estate. But, you know what the real problem is? The PAP claims that they needed to increase the S&CC because of the “continuously rising maintenance and operation costs”. But who manages the maintenance and operation costs? The PAP. As I had written before, businesses in Singapore have lamented that the key reason for unmanageable increases in costs is due to rents, and it is the PAP which is causing rents to increase. Do I have sympathy for the increasing “maintenance and operation costs”, when it is the PAP which is increasing it? So, they increase costs, then ask Singaporeans to pay for what they want to increase? Then, they increase surpluses, yet ask Singaporeans to pay more into S&CC to earn more from us, simply because they want to increase the S&CC. You see the trend here? Whatever they want, they do. Whatever they want to increase, they increase? Why? Because they said you voted for them – you agreed to it. You think your vote doesn’t matter? It’s hurting your pockets – can you see the link? They do not want to increase your wages but they want to make you pay more. Is this enough reason yet that your vote matters and you are wilfully giving it away? Yeah, the worker party has deficit while the PAP has surplus. What a good job the worker party is doing. The Wp also has surplus and sinking fund reserves. 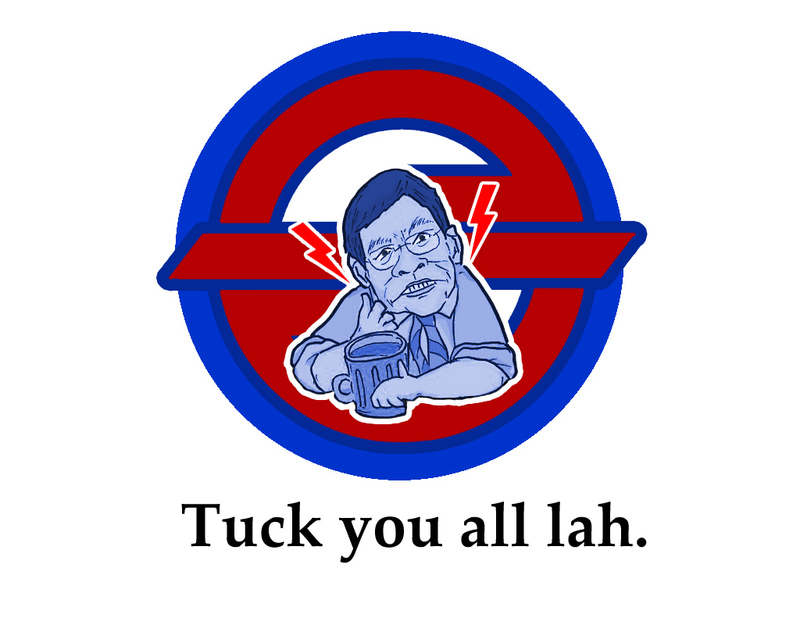 AHPETC got surplus meh? It still owes the money to their sinking funds… Even if mnd dispense the money, most of it will need to go into their sinking funds which they had not paid for many sessions Liao…. May I ask how u know wp got surplus? Why ignore? In the first place. Please get it right. I am Singaporean. And I hate it when assholes try to lie about my country. I am neutral feelings with pap. If there comes a worthy opposition party with the same ideology as lky, I will vote for him or her. Becos I love my country and will not want my children to be born into a poor country run by lousy leaders who wants to fish some goodies from its ppl. Even if what u say is true… The opposition r not even on par yet. PAP is the lesser evil. Vote for PAP. In Roy’s world, only when u run into deficit means u had done ur job. It doesn’t matter how u run into defic, whether someone siphoned money or not does not matter. The point is why PAP imposes increases when there are surpluses and reserves. Is asking residents to pay more to subsidize other expenses ok with you? Do you know you is the sinking fund use for, and its purposes? Cost went up so must increase due to inflation. So must increase s&cc else it’ll go into deficit. This happens similarly in WP AHPETC as well and AHPETC is among those who raise the most… What do u want to say about that? Actually, judging from what you say and the way you say it, says alot. Your views are not always the right views. And you have not answer my hint on the purpose of a sinking fund and its uses. Have a nice day. U can read it yourself… U do know how to read, right? Laughable… We won’t die lah… If govt change, we also won’t die. 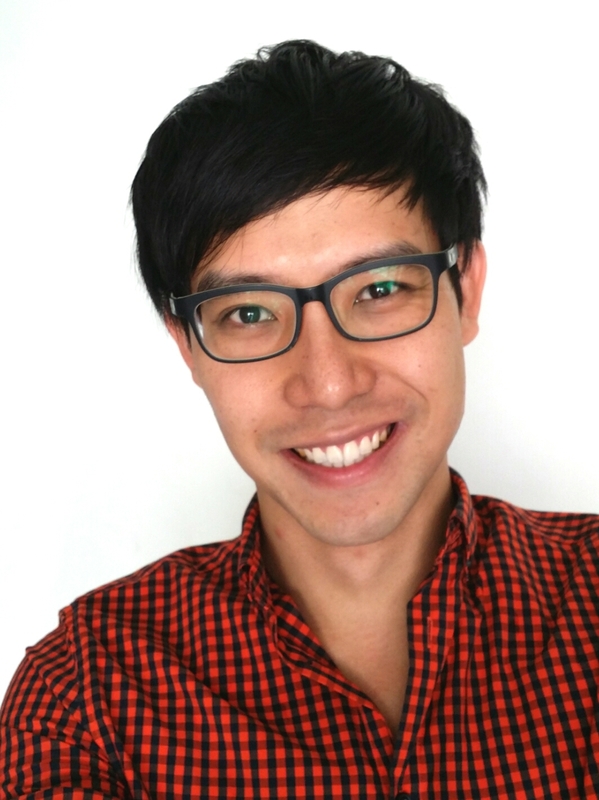 It’ll just be worse than death… AHPETC run into deficit, ignored AG, mnd, court’s findings…. Ask the hawker to clean the exhaust themselves when these must be done by the town council…. More nonsense from the PAP trolls. Is that all u can contribute to Roy blog? The greed of PAP is never-ending. They have no empathy for the citizens. They need to be voted out. No empathy then why got comcare hotline to call? Why social service budget increase? Why social workers r getting more new ppl to join? Why so much money is poured to subsidize the poor? Why so many of our scholars r from less privileged families? I also wonder if u used ur brains before writing. If you got brain & so smart plus intelligent, I urge you to go stand for election to compete with Roy and see for yourself how well you do. If you got ” boh lan pah ” better to shut out from here. Haha… I am not intelligent, it’s just that I’m not dumb to believe in Roy …. And Wp / etc has no greed? Your logic is astounding without a shred of evidence to back your big words. PAP trolls logic: rebut and insult. Hardeep . Thought you were dead. How come still here. Typical Roy rubbish! Does he have ANY idea that a sinking fund is? Anybody who has ever been involved in an MCST in Singapore would know a sinking fund is the account used for capital expenditures (long term or occasional expenses such as upgrading works or repainting that happen once every few years). You can be short-term in your thinking and not put money in your sinking fund and charge residents less today – but when the big bills come later and you have not saved anything in the sinking fund, then you will have to ask everybody to pay more later. The idea of a sinking fund is to plan ahead and also keep expenses reasonably level from year-to-year and not surprise people later with unexpected big bills. Sinking funds are standard responsible accounting and estate management. NOT maintaining a sinking fund is irresponsible. To be clear also, a sinking fund balance is not necessarily a “surplus” as Roy imagines it – as the balance is almost always less than the known capital expenses that will occur in the coming few years. Shame on Roy for yet again trying to deceive people with his half-truths! Why have a sinking fund when we can’t even afford the cost of living? I am involved in the MCST, and I have served in the capacities of the chairperson, the treasurer and the secretary at various points in time. I do agree with the Oracle on his description on the purpose of the sinking fund, and why it is a prudent practice to cater for rainy days in the future. Maintaining a sinking fund is indeed a standard element of estate management; any management council of an estate that fails to do so is indeed irresponsible. However, one also needs to understand that no responsible management council would transfer most, if not all of the surpluses collected from the S & CC into the sinking fund during a handover, without leaving monies for an incoming management council to work with. It is sound to maintain three to six months worth of capital for the normal operating cost of running an estate when an outgoing management council hands over to an incoming one to ensure sufficient liquidity for the incoming management council.to effectively meet the operational requirements of an estate. It is also a practice for an outgoing management council to transfer all surpluses into the sinking fund if the outgoing management council fears that the incoming council is going to squander the surpluses. I am just stating the facts and not commenting on the political saga that is taking place with this matter concerned. Thank you. Well Xavier, u have to realize that to Roy and all oppo supporter. Any money from the residents and govt or even from charity r just money to be plundered upon. U just have to be their friends and make sure a valid contract is in placed… As for the amount to be billed, just fill in the numbers u desire. From this whole AHPETC SAGA, the residents r quite passive to voice their opinions. It seems to an outsider, these residents r not interested to know what happened to their money. Maybe become they know the govt will fly in aid to help when things becomes bad… But these residents must realize that the party dishing out their money may well become our govt…. When that happens, how do u ask the govt to punish their “children” who r dipping their hands into the cookie pot? Hold your horses…let us not make unsubstantiable accusations against Roy or the AHPETC and open yourself to potential lawsuits. If any of them has been found to be guilty, I am sure the PAP will not let such an opportunity slip. The very fact that the PAP has not done so can be an evident indication that there has been no mischief found. You can condemn APHETC for lapses, but to accuse them of corruption when you do not have concrete proof is just not civil. 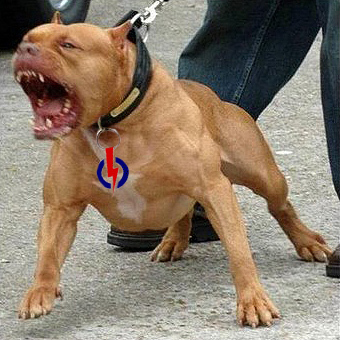 Do not forget that there are PAP-run town councils are guilty of lapses too, and they are already the ruling party! Agree…i take back if what i said seems to touch on corruption. Mentioning Corruption now, is stepping over the line… Whatever it is, we should wait for the investigation to be conducted. But how does one investigate when it seems no one can hold them accountable? So, it is unbelievable that our ministry, court and laws of our land can do nothing to town councils even after the judge rapped WP for its accounts. Why can’t the ministry ask to have an independent auditor go in and check their accounts? MP, town councils regardless of who is they belong to, r not above the law. So, if no one did anything wrong…. Why not allow mnd’s independent auditor to go in to check their books… What’s there to hide? Good for you, Chris! We are just here to read other people’s views, and sometimes give our own. No point in getting ourselves into trouble. The PAP has been trying to find the skeleton in APHETC’s closet for months, but has yet to uncover the smoking gun. If the PAP wants an independent auditor to review the financial documents of APHETC, can we the people of Singapore request that an independent auditor review the PAP managed town councils that have been found to be guilty of lapses too? While I take what Roy says with a pinch of salt, I am wondering about the double standards displayed by the PAP. If the PAP scrutinizes and berates its own town councils with the same vigor as that shown to APHETC, that would lend credibility to the PAP’s claims. So far, sadly, I have only seen a lopsided campaigned waged by the PAP. The WP must be held accountable for the lapses, but so must the PAP be held accountable as well. It is only fair and transparent, wouldn’t you say? So just let it out… Oppo should do what oppo needs to when it feels the govt is in wrong… Same goes for the govt… Dun u agree? How else can oppo show it is making sure pap is working for the good of Singapore and not otherwise? Right on there, Chris! I cannot agree with you more. I would like to see what happens when both APHETC and PAP-runned town councils are all put through independent audits. Both political parties owe us voters accountability and answers to some very pointed questions. Well Chris, the thing is that if the WP brings the PAP to task it will look really silly since the AHPETC cannot keep its own house in order. The PAP on the other hand does not seem to have any compunction about pointing fingers when the PAP ought to be reflecting on its own shortcomings. The PAP has the opportunity to show how transparent and just it is, so that it can give voters like myself confidence in the PAP leadership. I am still waiting for that sign. 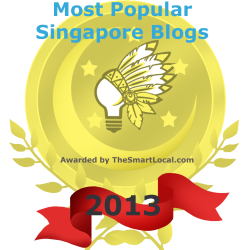 How do we know that the PAP-run town councils have no major issues? I cannot speak for others, but I for certain have not been shown that the town councils concerned are as all right as the PAP paints them to be. Like I had mentioned, both political parties have serious lapses and should come clean and show the voters that they are willing to be accountable for their mistakes. I do agree that some of the MPs from the WP have not been as vocal as one would expect them to be, but there are also MPs from.the PAP who are practically invisible. A few have even been frequent absentees from Parlimentary sessions. Goodness, they have not been paid peanuts, mind you. 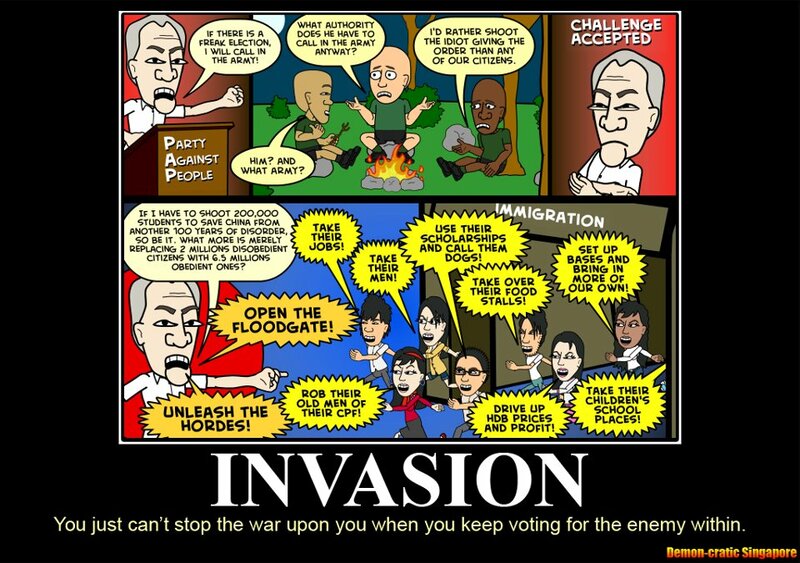 Party affiliated politicians inevitably have to toe the party line. I personally feel that we have a big number of technocrats in the ranks of the MPs, but how many of them are true servants of the people? Hello Chris. I have seen the reports on the websites a long time ago but I can tell you the reports don’t tell you half the story. I am not interested in a report that is dressed up; I am only interested to know what had happened that led to the numbers. I also have suspicion that the auditors have been very light handed when dealing with the PAP-run town councils, hence the comments given were less caustic. That is why an independent auditor can convince swing voters like myself that the comments that would have been levelled at both parties’ town councils are fair and unbiased. Do remember that it has all along been the PAP who is making the most of this saga. Do you actually think that the WP is out to shoot itself in the foot by taking advantage of the folks in Aljunied GRC? Mistakes were made, so let both the PAP and WP come out and tell the voters what they are. What is the point in fixing the mistakes and then come up with a whitewashed report to claim that all is well when we are not provided the true reasons for the lapses. The WP is taking the heat simply because the PAP wants to ensure the WP has its hands full dealing with APHETC. That is one of the oldest political ploys employed by a ruling party. If the shoe is on the other foot, I am sure the PAP would be singled out for “fixing” too. If the opposition is not transparent and refuses to be accountable, a lot more can be said about the ruling party. Do you happen to know exactly how much of our money is lost by GIC and TH? And how much is Ho Chin paid for her services? Reveal those to us and the PAP can talk about transparency and accountability. The state of the opposition in Singapore is nothing to cheer about. They have improved over the years, and regardless of what the PAP will do, the quality of the opposition will become better. I do not advocate that an oppositoo coalition takes over the government, but I firmly believe that a more significant presence in the Parliament will not destroy Singapore. Contrary I believe such a situation will help correct some of the self righteous attitudes of the leadership in the PAP and hence make them better leaders in steering Singapore into the future. I do not believe in the credibility of self-imposed check-and-balances intra party. I much prefer a strong opposition presence to keep the ruling party honest and on their toes. What is WP hiding? I do not think there is anything to hide. The WP is just standing up to the unreasonable demands of the PAP is what I see. That is why I keep saying that the PAP should lead by example and have their books checked by an independent auditor. If the WP refuses to follow suit, then LTK and company will look really bad. Why is wp so reluctant to let them uncover the reasons their auditors’ concerns in their annual report? What r they hiding? U r welcome to ask… Why dun u go ahead and ask… But make sure u have a basis before asking… In life, u always need a basis… No one even the president of USA can falsely accuse that the reports r falsified and the auditors r in cahoots with their client if there is no basis… So, watch what u r implying here… What do u mean by “dress up”? Of course I have the right to ask; issue is there is no answer from the PAP. If the PAP can complain that it does not receive a satisfactory answer from the WP, I as a citizen of Singapore, born and bred here, what is wrong with me complaining that the PAP has not provided a satisfactory answer to me? So what is the basis for the PAP to demand for an independent audit to be conducted on APHETC when the court had already ruled it out? So based on your argument the PAP is just fishing for a break? I did not say the reports were falsified. Be careful there, Chris. You are putting mouths into my mouth. Do not be too hasty to say things that you will end up with your foot in your mouth. I wrote in plain simple English. Take a closer look. So why have MND and HUB not taken action to throw those responsible for the irregularities at APHETC into the slammer? They have ample resources to dig deep, and after so many months have they turned up with the evidence to put the likes of LTK and SL away? That is a no-brainer, isn’t it? What does “I am not interested in a report that is dressed up” mean? Did I put words in ur mouth? Please go ahead and sue me if u feel I had slander u..
Did u ask ur questions? Why no one knows? R u in ur own imaginary world when u asked? Seriously Chris, grow up. Just because someone does not agree with your view, you do not have to be nasty. If you do not want to engage in a civil discussion, I have no intention to waste time on you. If you want an answer, ask please politely. Talk about growing up… U do not need to agree with me Lah… U think what? I’m ur dad is it? Just becos I asking u some valid questions then u think I’m forcing u to agree with me… Dun u think u r acting like a fool? Chris, you are an utter waste of my time. You are beyond redemption. Learn some manners and don’t be a disgrace to your parents. I am done with an unreasonable hooligan like you. Xavier, why is it u seem to talk about yourself? Wait… To say someone is dressing up the accounts is not a form of rudeness… So u r not rude..
Was I rude? I dun think so… What about u? Were u worse than rude? Chris, obviously your proficiency in English is so bad that you cannot understand simple English to save your life. As mentioned, ask politely and I will reply to your questions. Behave like the imbecile that you are, you will just be treated like a dog barking up the wrong tree and ignored. It seems that u think ur English is very good… But all ur writings points to rudeness, inaccuracies and such… Why should any one be nice to u? I am no saint… When someone is rude first, then why should I still treat him politely? As mentioned, Chris, you are merely a dog barking up the wrong tree. Get a life because I have a feeling you do not have one. The fact that our educational system produces a thing like you says a lot. Please go on barking, Chris. You are ignored. R there gay dogs in this world? Absolute garbage, spewed from the mouth of someone who wants to twists facts for his own benefit. So what do you expect anyone to do in this instance? Not keep a surplus so that when a rainy day comes, hope money grows on the trees? Do what you do best Roy, go away. Could you perhaps show us how to go away? Surplus???? ?….when so many families are struggling and desperate ??? ?……what garbage govt. keeps surplus and not help their citizens. .
We can all do what Roy did; cry? What absolute garbage logic is this? His entire platform is being run on smearing perfectly good policy decisions by addressing one side of the matter and purposefully leaving out the details. Common sense and basic intelligence is being dragged onto the streets and raped!! This is not even funny anymore. SINGAPORE CANNOT AFFORD INCOMPETENT FOOLS IN THE GOVERNMENT EVEN FOR ONE TERM. PERIOD! Roy is either very smart and is purposefully twisting facts (which is pure evil) or he is really stupid (which I guess is better). Either way this 6 member coalition of doom is a perfect example of the sorry state of opposition in Singapore. Anti incumbency is so strong even foolish statements are being heard. 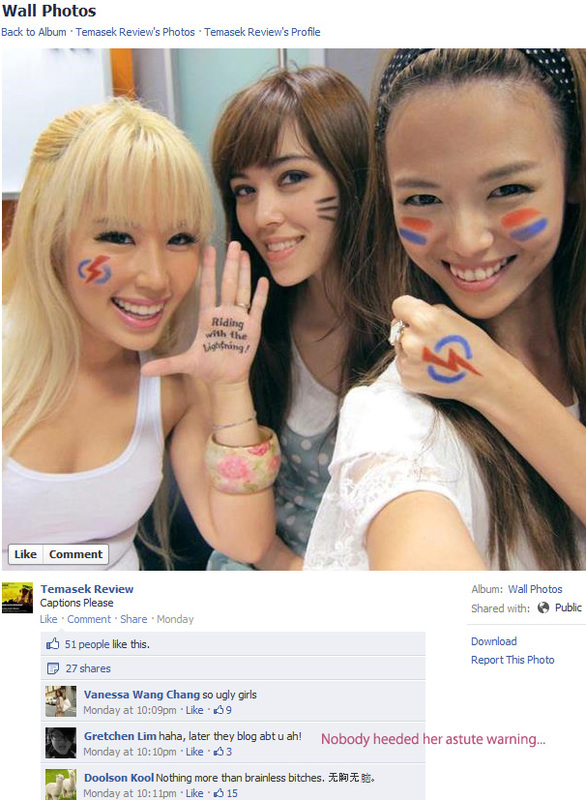 I wish PAP would split up so people have a strong alternative to vote for. Worker Party should engage Roy as a consultant. wow! pappy got dedicated ib doggies to troll Roy’s blog. Perry, town councils r govern by our laws… Private condos r up to them, even if they bankrupt, do u think we HDB dwellers care? They are evil,…..by right they should wear black instead of purity symbol….. Thank you for the strong mandate! I, the PM of Singapore, hereby announce that there will be amendments to the constitution governing future General Elections. One of the amendments is, as the life expectancy is getting longer, we will be having the GE once in every decade instead of the current every five years. What happen if we get a PM that is like Msian Najib? It can happen you know. Therefore, some Opposition is good for check and balance. What check and balance rubbish? All MPs, including oppositions, are richer that your average Sinkies(if they are not, by the time they are up for the next election, they will be). They are not up there to shake the mountain of the louse, they are there to enjoy heavenly view and air. May we know why these families r struggling? Are you slapping vivian balakrishnan? Well said Chris! The country’s responsibility is to help everyone stand on their own feet and only to provide financial assistance when all avenues are exhausted. Wake up. Be clear on what you say. Do explain how they “earned” from us by putting this money elsewhere. You really do need to learn to control your mouth.